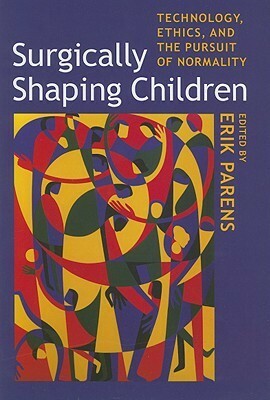 “My Shoe-Size Stayed The Same” in Surgically Shaping Children, edited by Erik Parens. Johns Hopkins University Press: 2005. “Disabling the Male Gaze” at Salon: September 24, 2016. “Content Warnings and Microaggressions” at The Northwest Review: September 27, 2015. “Is Dwarfism A Disease?” in Living with Difference at Medium.com: April 2, 2014. “What To Do When I Go Fwomp!” in Living with Difference at Medium.com: April 2, 2014. “Family Planning Is Personal” at Offbeat Home & Life: August 27, 2012. “The Good, The Bad and The Boring of ‘Life’s Too Short’ “ at Feministing.com: March 21, 2012. “Something I Really Don’t Like Thinking About” at Feministing.com: February 17, 2012. “Crayons” in The Bellevue Literary Review, Vol. 11, No. 1: Spring 2011. Featured poems in ditch: the poetry that mattters: Spring 2010. 7 Vorurteile gegen Menschen mit Behinderung. YouTube interview with Deutschland3000: October 2018. Election Night 2016 Part 1, 2 and 3. Television interviews with Deutsche Welle. November 2016. Kleinwüchsig – durch Operieren größer werden. Television interview with Rundfunk Berlin-Brandenburg. June 2015. Global 3000 Questionnaire: Emily Sullivan Sanford from Berlin. Television interview with Deutsche Welle: October 2010. “Archiving Gifts: Ethics, Politics and Body Modification.” Essay by Jessica Robyn Cadwallader in Australian Feminist Studies, 25: 64, 121-132. May 2010. “Feminist Brides Say ‘I Do’ to Creating Own Traditions.” Article by Corilyn Shropshire in The Houston Chronicle: Sunday, June 14, 2009. “Wahlkampf in der Fremde.” Article by Sebastian Heimstedt in Politik & Kommunikation: October 1, 2008. “Mail Call: Debating Hillary.” Letters to the Editor of Newsweek: May 3, 2008. “Emily’s Scars.” Essay by Arthur W. Frank in Hastings Center Report: March-April 2004. Dwarfs: Not A Fairy Tale. Emmy-nominated documentary in the HBO America Undercover series: Spring 2001. “On Being Very Small In A World of Giants.” Article by Ron Wertheimer in The New York Times: April 28, 2001. “Standing Tall.” Article by Kate Gurnett in The Times Union: April 29, 2001.